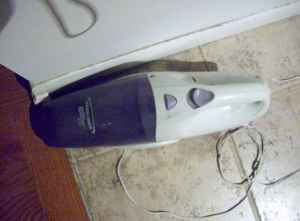 I saw your ad on craigslist for the Broken Dust Buster http://toronto.en.craigslist.ca/tor/hsh/1516776519.html . In your ad you say "*turns on but only for a second *other than that still in good condition". I think it sounds like a great deal but I am just wondering how I can be sure that, other than not being able to perform the sole task for which it was designed (and presumably purchased), it is in "good condition"? I guess I can assume that the interior is relatively dust free, but can you send me some proof of its condition? Maybe a photo of it quietly taking up some space which could otherwise be filled with something which has a use? Get back to me soon because I am very excited!